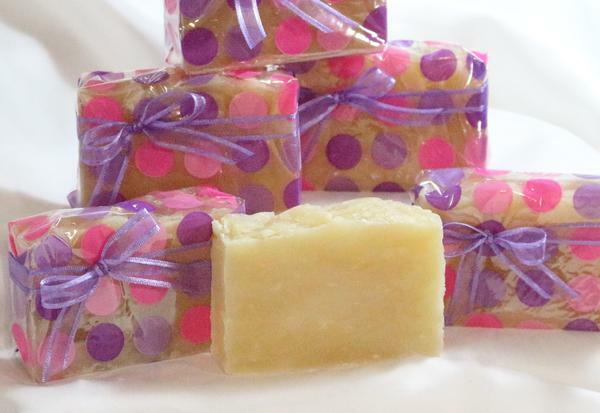 Handmade soaps and lotions are so good for your skin and mom has learned how to make them. 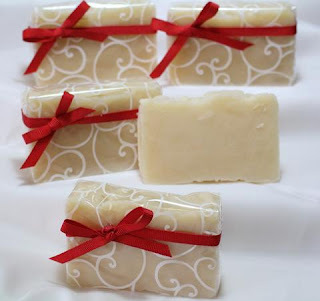 etsy.com/shop/RaggedyrhondasSo grateful we dont have to buy store soap anymore. We are carrying Pure and Simple Soap, Lavender Soap and Peppermint with more coming this week. Each is wrapped for delivery with Cello paper and nice lil bow. These soaps lather and have so much moisturizing benefits and we are adding the mini bar just to try it out. 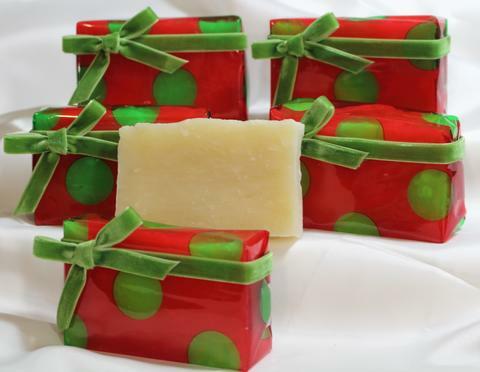 Also check out the Etsy Shop at Raggedyrhondas for the listings of the handmade soaps and every order will also receive a sample bar of one of the new soaps. Fine Art Prints available now on the web site. Free Shipping in US. 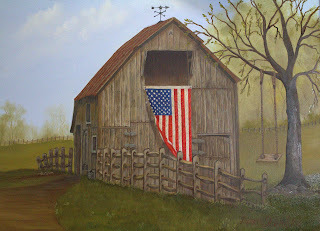 From my oil painting to fine art limited edition signed prints. The prints are 16" x 12"
and they turned out so great. Raggedyrhondas.com has been around along time and seems we need a facelift. So here come the Christmas specials. We have 2 new work areas. Art Studio and Soaping along with Sewing Studio. We needed the new space to make sure to get everything done. Its so exciting. I wish to thank each and everyone of you for standing by and supporting this site over the years. For some of you that know me and my family, well you know Rhonda has gone onto the new phase of her life with her husband and kids. I bought out everything and have now been #painting. Yes finally my #FineArts. 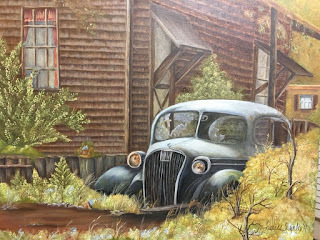 Here are a couple to #paintings I have done. 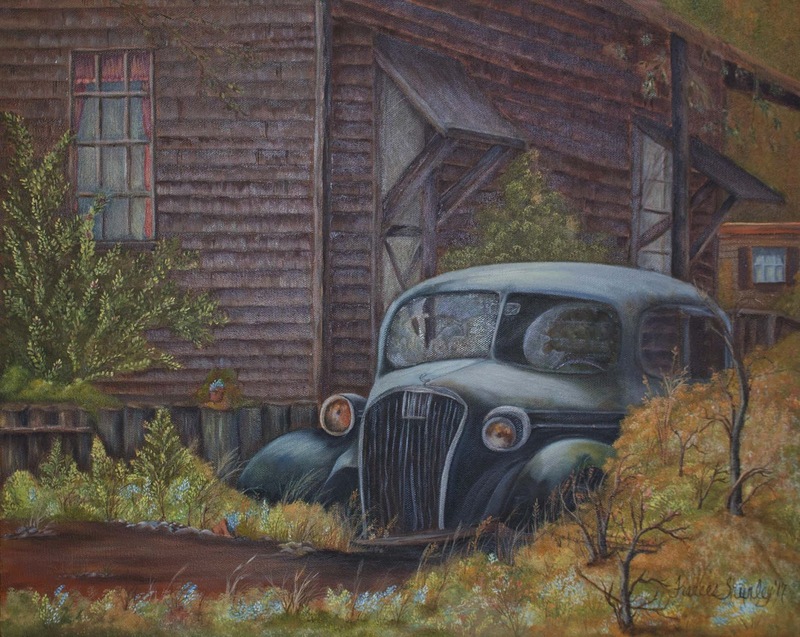 We have new Limited Edition Fine Art Prints available on the web site. Not that many left and we have a sale with 25% off right now. 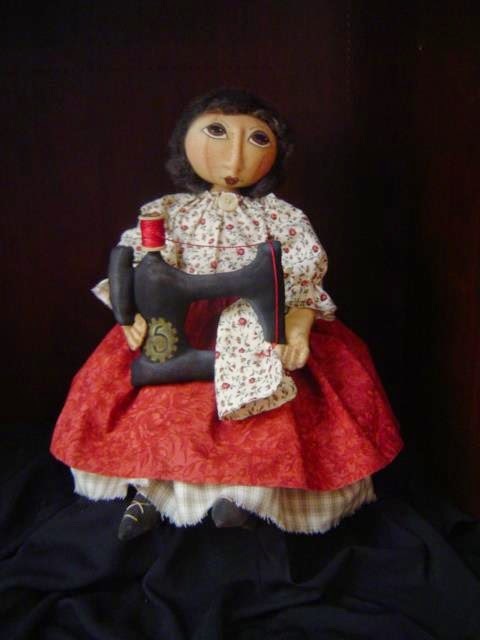 With this said, I still sew dolls and create #primitivepatterns, #quilts between dry time on my paintings. I hope that you will check out my #instagram @FrancesShurley and also on #Twitter. You can find me on Facebook along with Periscope.tv live broadcasting soon. I recently started a #youtube channel and hope to put all the links on here soon. I wanted to thank you all, I am living the life I had dreamed. When my mother passed away 3 years ago, I promised myself to spend time doing all the things I loved. Update: I am trying to go thru and update the patterns for the dolls and list them here. I will do my best to update with buy now buttons and instant downloads for you. I have reduced all the pricing on all the older patterns and so that means new ones will be coming as I can get to them. I hope you all have a fabulous weekend and enjoy life - it only gets better with time. Buy handmade from our Etsy shop. You can download patterns as epatterns and create your own. 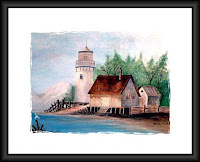 Or ask us and we are happy to create one for you or even a painting from the Web site. Since the year began alot has happened. My daughter has remarried. I am creating dolls and painting on my canvas using oils and acrylic paints. 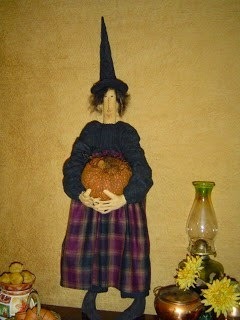 You can still find the dolls on etsy and facebook under Raggedyrhondas or look for me under Raggedyrhondas Dolls. The etsy shop has the majority of the epatterns now marked at 50% off regular price. The reductions have already been taken. You will not need a coupon for the sale price. I hope you enjoy seeing all the new primitive dolls, epatterns, and of course my fine arts. I appreciate all of you visiting, all your friendships, to all my customers I thank you all. Its been a while since my mom dedicated her work time to her art painting. Please check her work out. Mom is full time again and I am so happy for her. 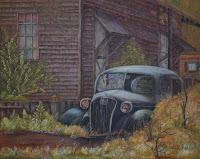 www.francesshurley.com Frances Shurley has her web site up and going. Now mom will be live streaming using the periscope app along with younow app. Hope you will support her love of the arts. I am happy and married now since last year. I appreciate all of you that supported my business over the years. 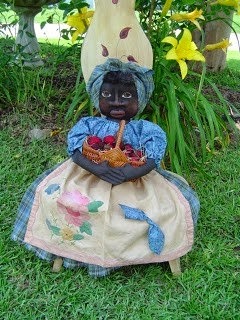 Mom and I have turned over the dolls mostly to my dauther Jaz. If you see something you would like let Frances or Jaz know so they can create one for you. My daughter Jaz is also studying photography in school and hopes to do that in college in the next couple years. Summer is half way thru and with new dolls, and new items coming in. Much to do. We hope yall will drop by and check us out at Etsy and Facebook. Check us out. We have a coupon code to use on patterns. Check out our business page on Facebook for details. Thanks so much. Thanks to all of yall that participated in the sale on the epatterns on Etsy. 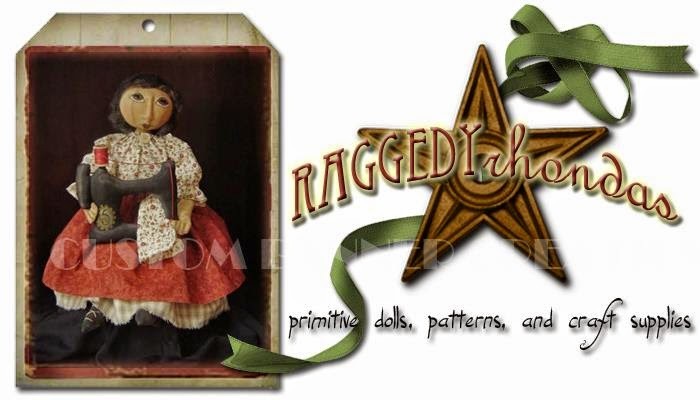 We have a new event going now drop by and check us out on Facebook at Raggedy Rhondas Dolls. We would greatly appreciate you giving us a LIKE on our page. Our new goal is 5000 folks. Help us get there. We are also doing the big giveaway at the end of summer. Stay tuned. CLick like and comment on our site, give us a great review and get entered to win. Check out our pattern sale on Etsy at Raggedy Rhondas all the patterns and epatterns are Bogo priced using the code FREEPATTERNBOGO ~ You have to add this into the coupon section to get the second one free. Drop by the facebook business page to see the new designs and orders going out. The Vacuum Cover Dolls are blowing out the last several months. We are working extremely hard to catch up all the orders. We thank you for all the purchases. Read why you should open your site on Shopify and see more information. 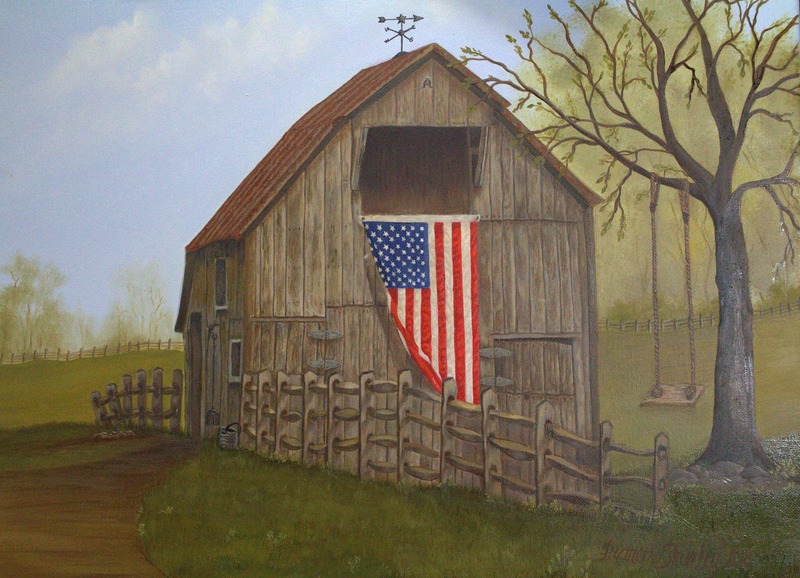 Folk Art and Prims Group on Facebook is having a sale this month. 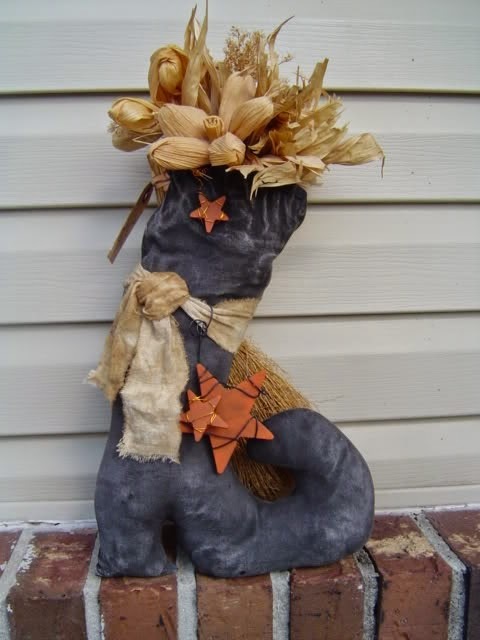 This is a great witches boot to sew up in a hurry. It has a pocket made in the top to add your flowers or even your halloween candies for all the kiddies. This one is fun to make and you can do as I did and add painted wooden stars, or even add wire or halloween lights to decorate. This one has endless possibilities. Coming soon watch for updates for this fall. 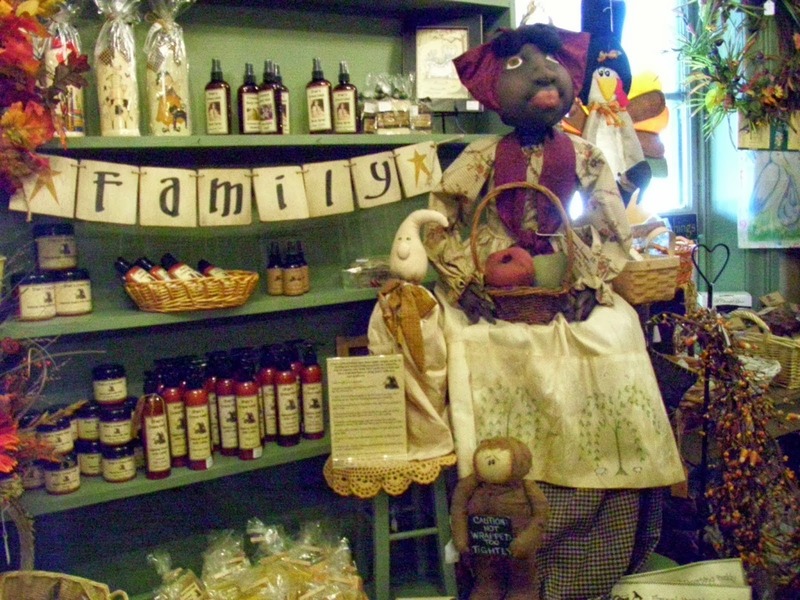 Please join us on FACEBOOK on our business page at Raggedy Rhondas. We have custom designs done weekly. We have new dolls and creating new patterns each month. Giveaway on our business page when we reach our 5000 mark. So keep your LIKES coming and help us reach our next milestone and lets do a great giveaway. You want to see others - check these out. click here and you can go directly to my shop page. 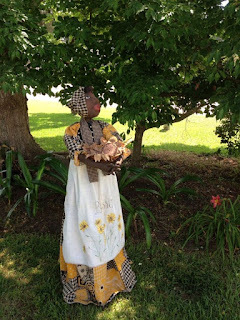 Raggedy Rhondas has been busy lately sewing and painting Vacuum Cover Mammy Dolls, and you can find some exclusive ones at Shairs Crows Nest on the web. Check her out. We also carry toaster covers, blender covers along with water covers and bagholder dolls. The Santas are coming along with some new editions to Raggedyrhondas and you can see these when they air here or check out facebook for raggedyrhondas. We hope you will join us there. We are running a donation site for help with Sandy Schmidt of the Old Country Cupboard who recently had surgery and is now waiting news on a cancer report. Sandy is in remission at the point from stage 4 lymphoma, we wish her the best and pray for healing for her. So many new things have happened since my last post. We lost a dear friend and we will never be the same. I do not think I have ever met anyone so dear and sweet as Sandy. Her heart was like an angel. She was loved by so many and adored by her family and friends. She leaves behind her dear sweet husband, daughter, son in law and grand baby. She got one wish before she left us and that was to hold her sweet little grand daughter. Thank you Lord for the blessings you give us all as we are not promised tomorrow. With every sunrise and every sunset you are remembered for the light you brought into this world. We miss you and know that you are flying high with the angels now. Merry Christmas and Happy New Year to you all... to my friends on the selling groups, I appreciate all your help. To my buyers thank you for keeping us going another year stronger. We have new dolls, patterns and new designs coming after January 2013. Please stop by and check us out on facebook. 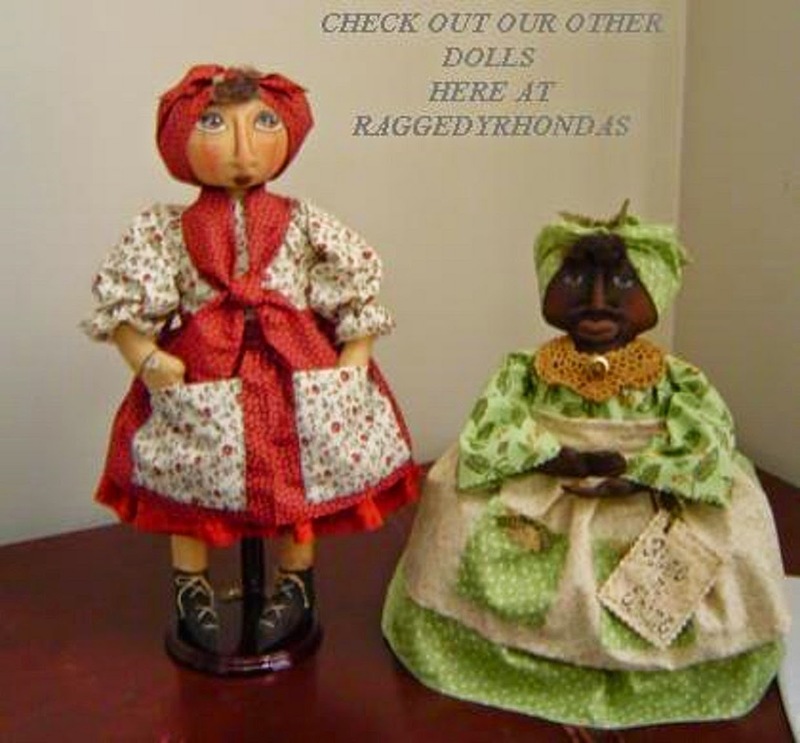 Type Raggedy Rhondas Dolls and you should find us there. We are now selling wholesale with your tax id no. of course. Drop by and say hello. If you are looking for something special, just ask. We do custom orders and special themes for you. If you have a customer with a need, send me the information you have and let me design something for you. Thanksgiving is here and I am giving thanks to all things. With black friday shopping right around the corner, the question is do you shop black friday? 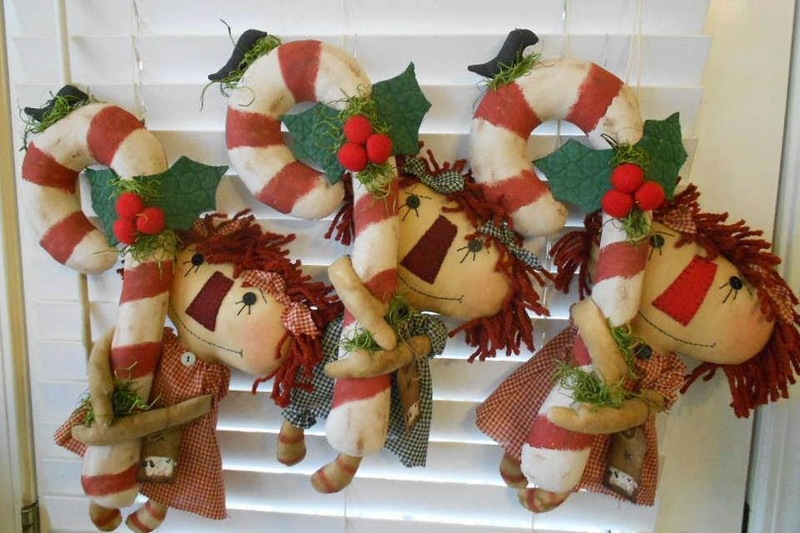 I don't ~ I stay home and enjoy the peacefulness and enjoy decorating my home for the holidays with my kids. Always fun getting things from the attic and letting the children look thru to find what we want to put here and there. You will find me on Facebook now selling in the groups and on my raggedyrhondas facebook pages. I still sell on ebay but with the prices of ebay and the final value fees and all the fees they have going on ~ I think 2013 will bring major changes to my site. I hope you will drop by and check out the shop. I am missing something you would like to see. Drop me a note and let me know. 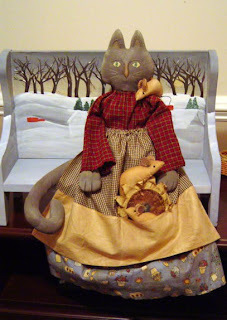 I am also sewing custom made dolls from raggedyrhondas patterns or anyones patterns if you find something you like, let me know. I can sew it for you. Always remembering to give others credit for their designs. Have a fun Thanksgiving and enjoy the day with family and friends. Drop by and say hello. Stay safe over the shopping holidays and take time to be thankful to others. Getting busy with new designs for 2013. 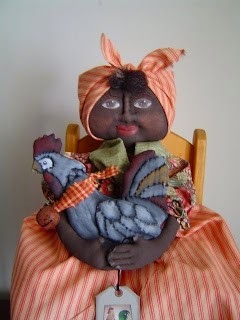 I have been contacted by 2 magazines for articles on my doll work. As I continue with the process I will give updates. Seems the years of hard work are paying off. Remembering always to pay it forward. KNOWing summer is right here at us now, it's time for kids to swim, running around the yard, time to make cupcakes and homemade iceceam, sipping lemonaide on the front porch, and some of us may be working in the yard, planting those favorite flowers. We want to hear about the shows that you're participating in or attending. So send us some *Shows and Events* and their corresponding dates and locations! It's FREE to have them posted on the Raggedyrhondas.com website and it might even get more traffic to your booth! Nothing to loose by advertising and sharing your informaton. Enjoy your summer and don't forget to use that sunscreen. No one wants to be a red lobster. 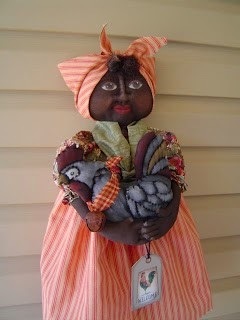 Enjoy and if you would like us to make a custom made sewn doll for you please email me and let us know. Lillian is the newest doll, is a toaster cover doll, She is dressed in blues and greens with antique hand appliqued apron, painted and hand sewn. he measures 18" tall and sits upon your kitchen appliance. I make her to go over a toaster but you could use her anywhere in the home if you liked. She could be used most anywhere. 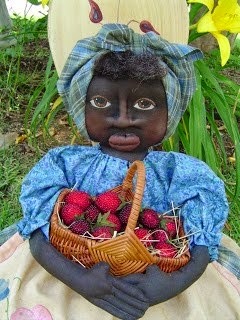 Lillian is holding her basket of berries, each berry is covered in mini micro beads and so pretty. The basket is filled with straw for the berries to rest in and you could change out what she is holding and use the basket full of berries somewhere else. 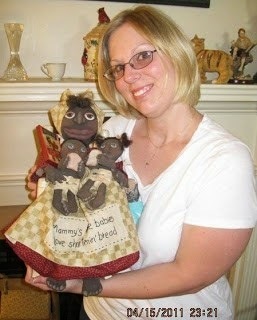 Email me if you would like to place a special order for a mammy doll like Lillian. 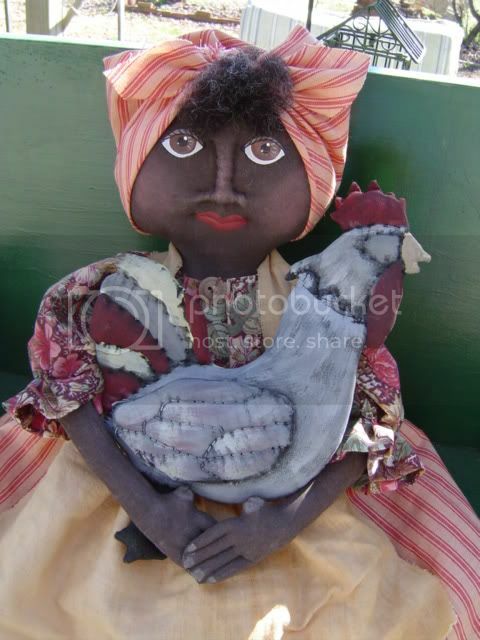 Please drop by and check out my new mammy doll holding her rooster. With such a response to the rooster I thought the next one I do will be the chicken, gotta have a chicken when you got a rooster. 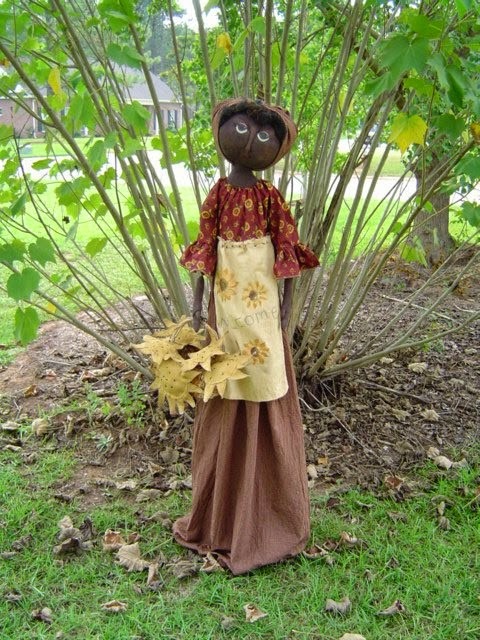 Primitive Folk Art Doll Bagholder Newly listed on Buy Her Now Option!!! 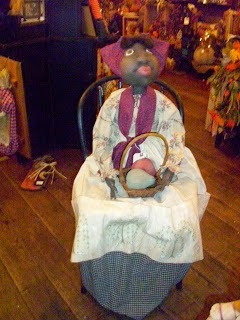 New Folk Art Mammy Doll just finished today. She has been the most requested doll for the last 5 months. I have finally gotten her done for you. I am adding her here for a buy her now. You can pay with paypal. 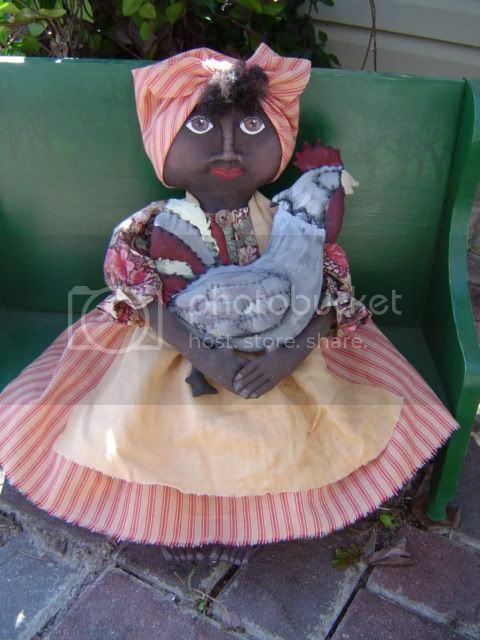 Mammy is 22 inches tall, holding her Rooster who is 9 inches tall. Rooster has a large rusted bell around his neck. Mammy has sculpted face,fingers and toes. Rooster has all sculpted body and sculpted individual wings. Hang tag is included with pic of rooster with Welcome. Mammy dress top is floral print with bottom of dress, loons, and head wrap in a cream/red homespun stripe. She is one of a kind, signed, dated and numbered. International buyers please contact me for invoice through paypal please. 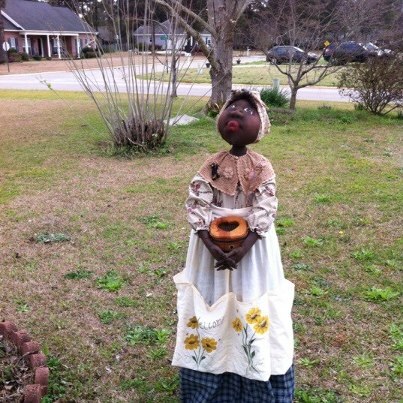 Visit Raggedy's profile on Pinterest. All rights reserved. 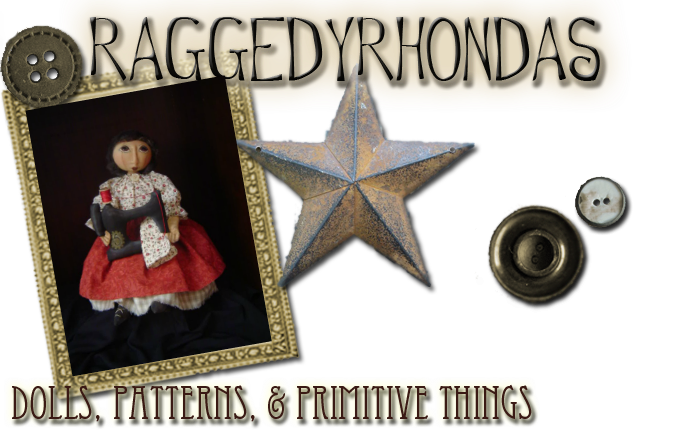 Do not copy Raggedyrhondas designs, photos, creations, in any form with no exception.